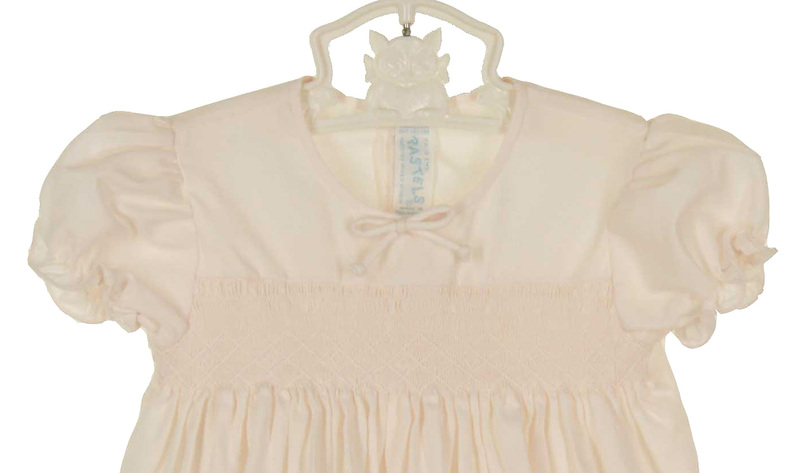 This darling vintage pink cotton blend smocked bubble is made by Pastels, formerly a division of Feltman Brothers. It features smocking on the bodice accented with white embroidery. 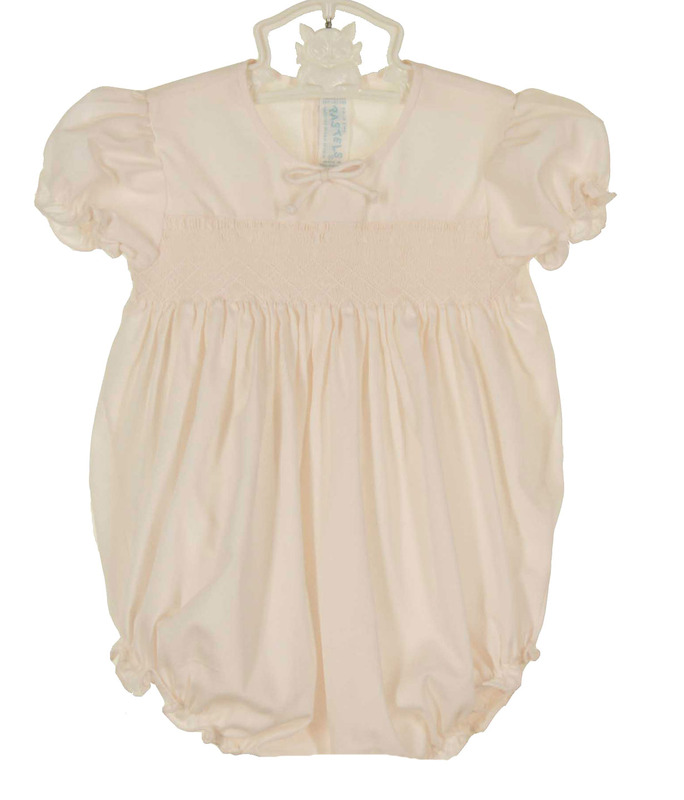 The bubble has a simple round neckline trimmed with a tiny bow and short puffed sleeves finished with elasticized ruffles. A back buttoned closure and snaps in the crotch with elasticized leg ruffles complete the classic look. 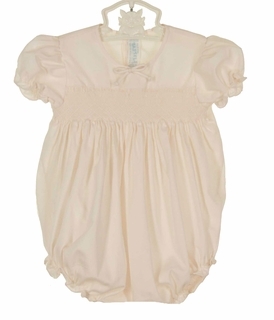 This sweet little bubble is the perfect outfit for any occasion.